Dentist WA Canning Vale tooth whitening club is available for just $150! 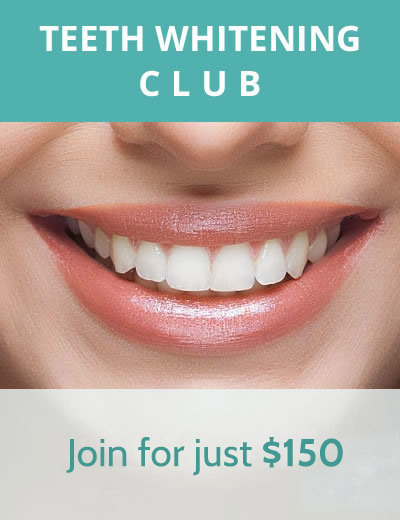 When you come in for a check up scale and clean (preventive care appointment – PCA), you’ll have the opportunity to join our Tooth Whitening Club for just $150. Included in this fee are two custom made whitening trays and two syringes of 16% Pola Night Bleach®. When you return for your next PCA, you’ll receive another syringe free of charge at each PCA. The usual cost of this treatment is $600. Ready to join? Contact us today! If you have additional questions, we’re happy to answer them. *Please note, a membership is subject to cancellation when a PCA is missed.